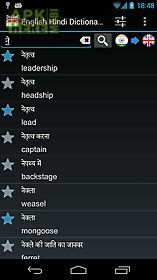 Offline english hindi dict. 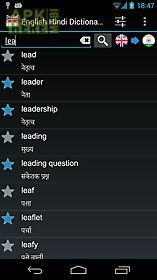 app for android description: Offline english hindi dictionary more than 3- 000 translations of words and expressions translate offline! 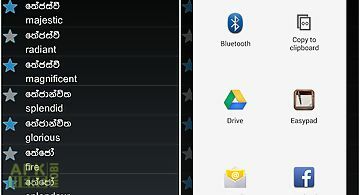 No internet connection needed no extra files to download! 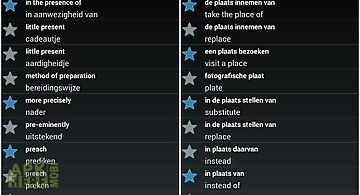 The best translator for your trips or when no data connection is available. 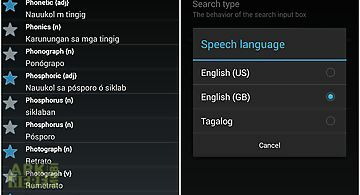 Listen to the correct pronunciation in british or american english and hindi (if installed) using android 39 s built in text to speech synthesizer. 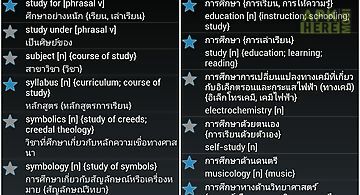 Can help you prepare language exams like gsat or csat. 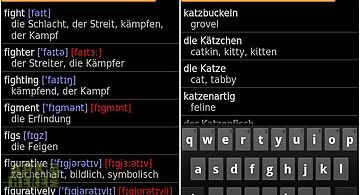 Faq: q: how can i share a translation? 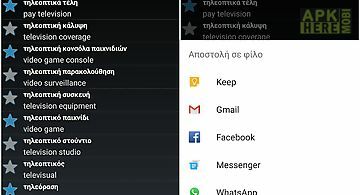 A: just press 2 3 seconds over the translation and you will be presented with a menu with all available sharing in the dictionery options based on the apps installed in your device (email sms etc)q: how can i change the speech language? 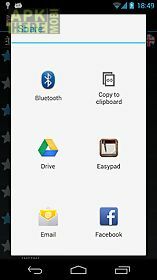 A: just go to menu settings and select the language. 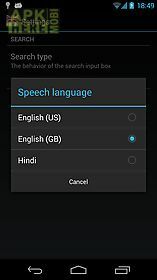 Currently 3 languages are available: english (us) english (gb) hindi hindustani (if installed)disclaimer: the text to speech (tts) technology may not be available in some devices. 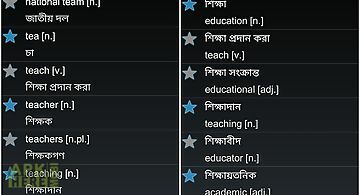 Related Apps to Offline english hindi dict. Angol magyar sz t r offline. 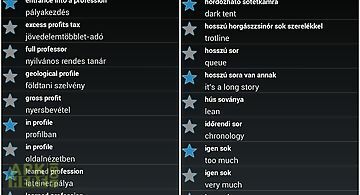 Offline english hungarian dictionary. Over 23- 000 words and expressions! 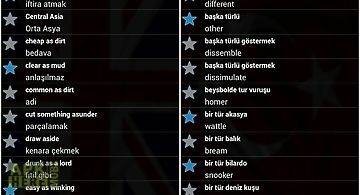 Bookmark your favorite translations for fast referen..